CIUDAD OBREGÓN, Mexico (CIMMYT) – As more than 200 wheat science and food specialists from 34 countries gathered in northwestern Mexico to address threats to global nutrition and food security, 9 outstanding young women wheat scientists among them showed that this effort will be strengthened by diversity. 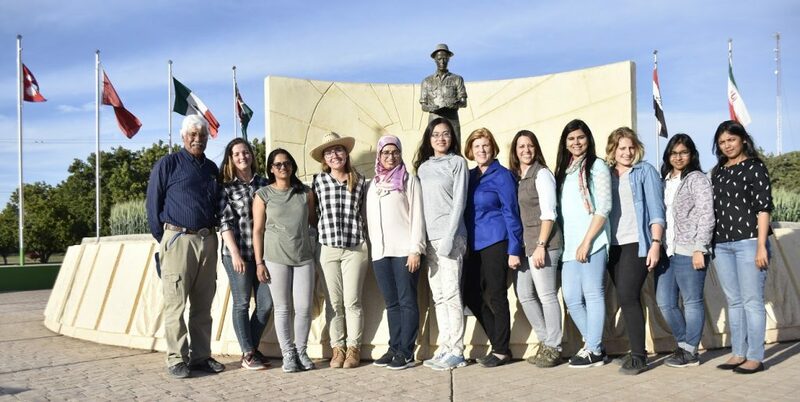 Winners of the Jeanie Borlaug Laube Women in Triticum (WIT) Early Career Award joined an on-going wheat research training course organized by the International Maize and Wheat Improvement Center (CIMMYT), 21-23 March. 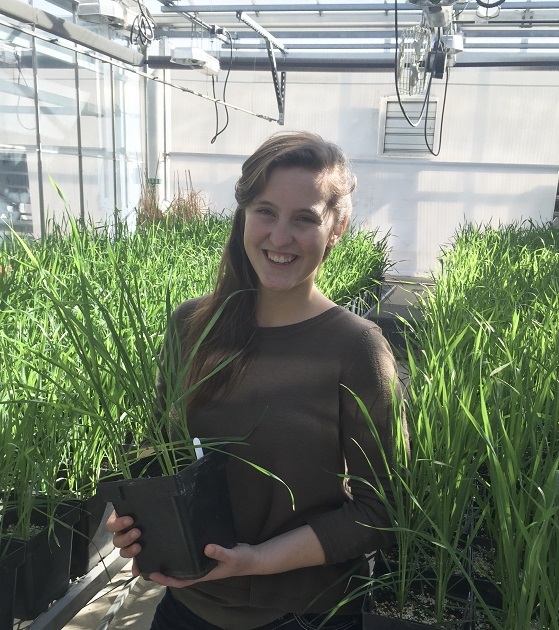 Established in 2010 as part of the Delivering Genetic Gain in Wheat (DGGW) project led by Cornell University, the WIT program has provided professional development opportunities for 44 young women researchers in wheat from more than 20 countries. The award is given annually to as many as five early science-career women, ranging from advanced undergraduates to recent doctoral graduates and postdoctoral fellows. Selection is based on a scientific abstract and statement of intent, along with evidence of commitment to agricultural development and leadership potential. 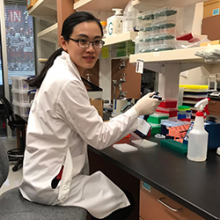 Weizhen Liu, a 2017 WIT recipient and postdoctoral researcher at Cornell University, is applying genome-wide association mapping and DNA marker technology to enhance genetic resistance in tetraploid and bread wheat to stripe rust, a major global disease of wheat that is quickly spreading and becoming more virulent. Mitaly Bansal, a 2016 WIT award winner, currently works as a Research Associate at Punjab Agricultural University, India. 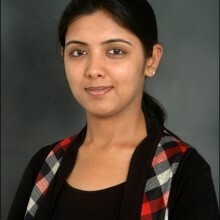 She did her PhD research in a collaborative project involving Punjab Agricultural University and the John Innes Centre, UK, to deploy stripe and leaf rust resistance genes from non-progenitor wild wheat in commercial cultivars. 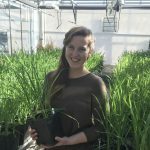 In addition to joining CIMMYT training for a week, WIT recipients will attend the annual Borlaug Global Rust Initiative (BGRI) technical workshop, to be held this year in Marrakech, Morocco, from 14 to 17 April, and where the 2018 WIT winners will be announced. 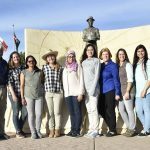 The CIMMYT training sessions took place at the Norman Borlaug Experiment Station (CENEB), an irrigated desert location in Sonora State, northwestern Mexico, and coincided with CIMMYT’s 2018 “Visitors’ Week,” which took place from 19 to 23 March. An annual gathering organized by the CIMMYT global wheat program at CENEB, Visitors’ Week typically draws hundreds of experts from the worldwide wheat research and development community. Participants share innovations and news on critical issues, such as the rising threat of the rust diseases or changing climates in key wheat farmlands. A strong proponent and practitioner of collaboration, Norman E. Borlaug worked with Sonora farmers in the 1940-50s as part of a joint Rockefeller Foundation-Mexican government program that, among other outputs, generated high-yielding, disease-resistant wheat varieties. After bringing wheat self-sufficiency to Mexico, the varieties were adopted in South Asia and beyond in the 1960-70s, dramatically boosting yields and allowing famine-prone countries to feed their rapidly-expanding populations. This became known as the Green Revolution and, in 1970, Borlaug received the Nobel Peace Prize in recognition of his contributions. Borlaug subsequently led CIMMYT wheat research until his retirement in 1979 and served afterwards as a special consultant to the Center. When a new, highly virulent race of wheat stem rust, Ug99, emerged in eastern Africa in the early 2000s, Borlaug sounded the alarm and championed a global response that grew into the BGRI and associated initiatives such as DGGW. “This is just a beginning for you, but it doesn’t end here,” said Maricelis Acevedo, a former WIT recipient who went on to become the leader of DGGW. 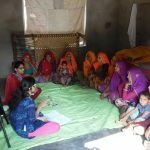 Speaking during the training course, she observed that many WIT awardees come from settings where women often lack access to higher education or the freedom to pursue a career. CIMMYT is the global leader in publicly-funded maize and wheat research and related farming systems. Headquartered near Mexico City, CIMMYT works with hundreds of partners throughout the developing world to sustainably increase the productivity of maize and wheat cropping systems, thus improving global food security and reducing poverty. CIMMYT is a member of the CGIAR System and leads the CGIAR Research Programs on Maize and Wheat and the Excellence in Breeding Platform. The Center receives generous support from national governments, foundations, development banks and other public and private agencies. Funded by the Bill & Melinda Gates Foundation and the UK’s Department for International Development (DFID) under UK aid, the DGGW project aims to strengthen the delivery pipeline for new, disease resistant, climate-resilient wheat varieties and to increase the yields of smallholder wheat farmers. 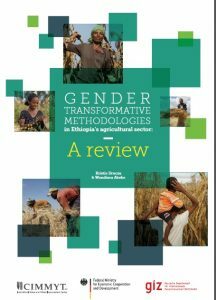 Gender awareness and gender-sensitive approaches are slowly spreading into agricultural research, extension, and policy in Ethiopia, based on recent statements from a cross section of professionals and practitioners in the country. 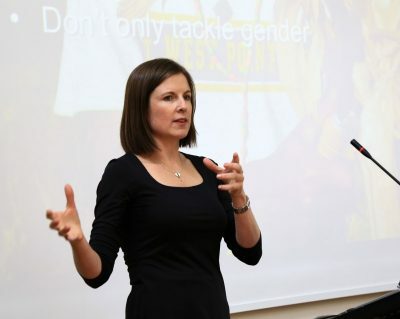 An initiative led by the International Maize and Wheat Improvement Center (CIMMYT) is helping to drive evidence-based approaches to foster gender equality and include it in mainstream agricultural research. 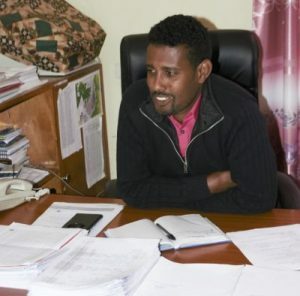 Moges Bizuneh, deputy head of the agricultural office of Basona District, attended a CIMMYT-organized workshop in which Ethiopia-specific results were presented from GENNOVATE, a large-scale qualitative study involving focus groups and interviews with more than 7,500 rural men and women in 26 developing countries. “I have learned a lot about gender and it’s not just about women, but about both women and men,” said Bizuneh. The District of Basona has nearly 30,000 households, 98 percent of which depend on agriculture for food and livelihoods but have access to an average of only 1.5 hectares of land. More than 10,000 of those households are headed by females, because many males and youth have left Basona to seek opportunities in large cities or other countries. One surprise for Bizuneh, from group discussions regarding innovation and involvement in CIMMYT’s gender research, was that women said it was important to share experiences with other farmers and obtain new knowledge. 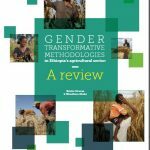 Another product from the project is a 2017 review of gender-transformative methodologies for Ethiopia’s agriculture sector, co-authored by Kristie Drucza, project lead, and Wondimu Abebe, a research assistant, both from CIMMYT. Drucza presented on the people-centered methodologies described in the publication at a recent workshop in Addis Ababa, offering diverse lessons of use for research and development professionals. Annet Abenakyo Mulema, social scientist in gender at the International Livestock Research Institute (ILRI), intends to apply some of the same methods to help rural families understand household and community gender dynamics and their role in managing the families’ goats, sheep, and other livestock. Meskerem Mulatu, gender and nutrition specialist in Ethiopia’s Agricultural Growth Program II (AGP II) Capacity Development Support Facility (CDSF), said her group invited Drucza to speak on gender and social norms at a national workshop organized by AGP II CDSF in October 2017. 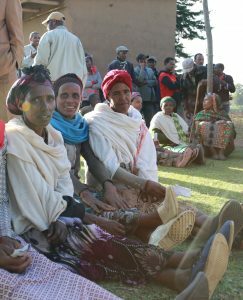 In June 2017, Drucza presented the findings of her meta-analysis of evaluations of gender in Ethiopian agricultural development at a senior staff meeting of the Ethiopia office of CARE, the global humanitarian organization. Among the 26 agricultural program evaluations considered, explained Drucza, only three had strong findings, a heavy inclusion of gender, and evidence of changes in social norms—and all three were CARE projects. One was the Graduation with Resilience to Achieve Sustainable Development (GRAD) initiative. As an outcome of Drucza’s presentation, CARE is refining the way it records certain social data, according to Elisabeth Farmer, Deputy Chief of Party for the CARE’s Feed the Future Ethiopia–Livelihoods for Resilience Activity project, which emerged from GRAD. “Our baseline study protocol and questionnaire for the new project hadn’t been finalized yet,” Farmer said. “We were thinking through the difference between using a scale that scores responses along a range, such as a Likert scale, versus asking respondents “yes or no”-type questions, for instance regarding women’s access to information or equitable decision-making in the household. 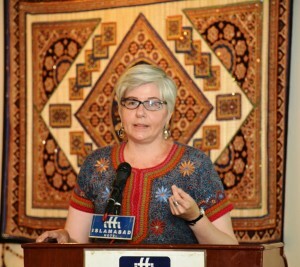 According to Drucza, who leads the CIMMYT project “Understanding gender in wheat-based livelihoods for enhanced WHEAT R4D impact in Afghanistan, Pakistan and Ethiopia,” funded by the German Federal Ministry for Economic Cooperation and Development, research must be relevant and useful. “I’m happy to learn that our results are useful to a diverse range of actors, from development partners to policy makers and local agricultural officers,” she said. growth, social cohesion, and sustainability, but more research on these linkages is needed. illiterate women, and capture normative changes. Click here to download a copy of this publication. 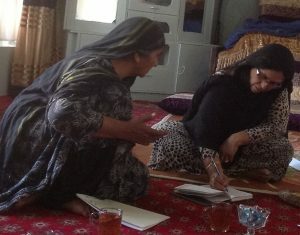 New research shows improved wheat raises the quality of life for men and women across rural communities in Afghanistan. A recent report from Gennovate, a major study about gender and innovation processes in developing country agriculture, found that improved wheat varieties emerged overwhelmingly among the agricultural technologies most favored by both men and women. 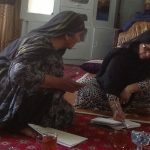 In one striking example from Afghanistan, introducing better wheat varieties alone reduced women’s work burden, showing how the uptake of technology – whether seeds or machinery – can improve the quality of life. Finally, Sharma noted that bountiful harvests from improved varieties often lead farmers to use mechanical threshing, which further reduces work and ensures cleaner grain for household foods. Conceived as a “bottom-up” idea by a small gender research team of CGIAR in 2013, Gennovate involves 11 past and current CGIAR Research Programs. The project collected data from focus groups and interviews involving more than 7,500 rural men and women in 26 countries during 2014-16. 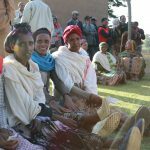 Some 2,500 women and men from 43 rural villages in 8 wheat-producing countries of Africa and Asia participated in community case studies, as part of the CGIAR Research Program on Wheat. 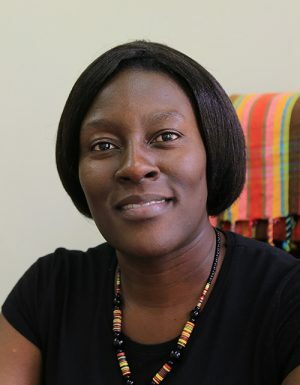 According to estimates of the Food and Agriculture Organization of the United Nations (FAO), if women farmers, who comprise 43 per cent of the farm labor force in developing countries, had the same access to resources as men, agricultural output in 34 developing countries would rise by an estimated average of as high as 4 percent. 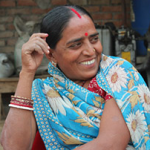 “Gender-related restrictions such as limitations on physical mobility or social interactions, as well as reproductive work burden, also constitute key constraints on rural women’s capacity to innovate in agriculture,” Badstue explained. The Gennovate-wheat report identified six “positive outlier communities” where norms are shifting towards more equitable gender relations and helping to foster inclusiveness and agricultural innovation. In those communities, men and women from all economic scales reported significantly higher empowerment and poverty reductions than in the 37 other locations. Greater acceptance of women’s freedom of action, economic activity, and civic and educational participation appears to be a key element. 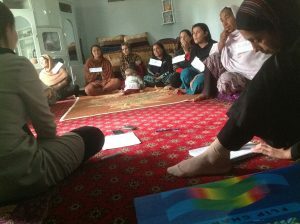 “In contexts where gender norms are more fluid, new agricultural technologies and practices can become game-changing, increasing economic agency for women and men and rapidly lowering local poverty,” Badstue said. The contributions and presence of CIMMYT in Afghanistan, which include support for breeding research and training for local scientists, date back several decades. In the last five years, the Agricultural Research Institute of Afghanistan (ARIA) of the country’s Ministry of Agriculture, Irrigation & Livestock (MAIL) has used CIMMYT breeding lines to develop and make available to farmers seed of 15 high-yielding, disease resistant wheat varieties. Read the full report “Gender and Innovation Processes in Wheat-Based Systems” here. GENNOVATE has been supported by generous funding from the World Bank; the CGIAR Gender & Agricultural Research Network; the government of Mexico through MasAgro; Germany’s Federal Ministry for Economic Cooperation and Development (BMZ); numerous CGIAR Research Programs; and the Bill & Melinda Gates Foundation. Gender inequality is a recurring feature of many agricultural production systems across the wheat-growing regions of Africa, and women farmers often lack access to credit, land, and other inputs. The result: limited adoption of new innovations, low productivity and income, and a missed opportunity to enhance household food security and prosperity. 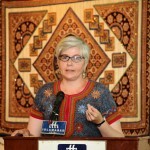 EL BATAN, Mexico (May 15,2015) ‑ CIMMYT is sad to announce the tragic death of our friend and respected colleague, gender and development specialist Paula Kantor. 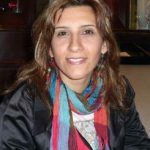 Paula died on May 13, in the aftermath of an attack on the hotel where she was staying in Kabul, Afghanistan. “We extend our deepest condolences to her family, friends and colleagues,” said Thomas Lumpkin, CIMMYT’s director general. Click here to read more about Paula’s exciting and valuable life and legacy. Female farmers in India are not only responsible for managing the farm work and household chores, but have increasingly become a part of the sowing, weeding and harvesting of crops. 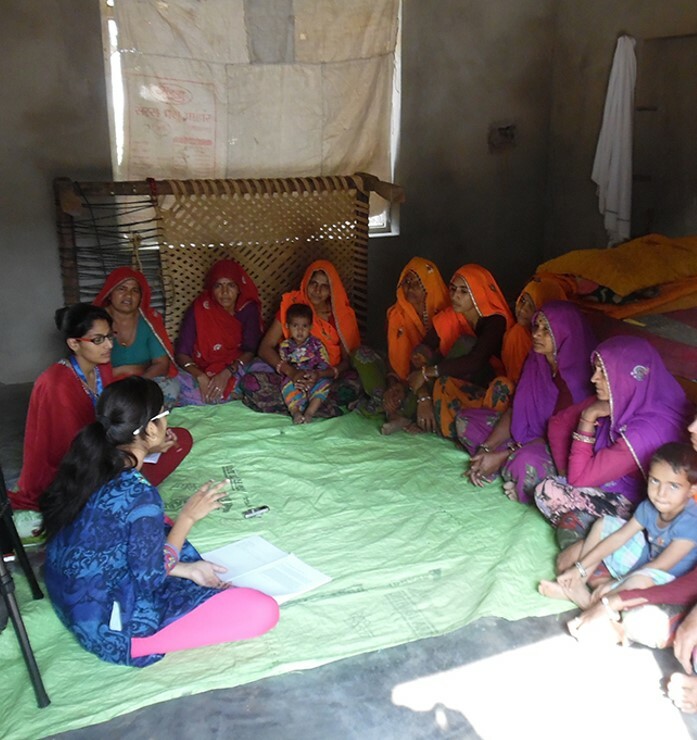 The Cereal Systems for South Asia (CSISA) project is working with female farmers in Bihar to ensure that women are learning and developing new skills and getting information on improved farming technologies and practices. In 2014, more than 100 female farmers in Muzaffarpur district planted their wheat using zero tillage technology. Watch the video above to learn more about the initiatives implemented by CSISA in India.